Michael Sacal is the President and founder of Heroic Tendencies Studios, the Creative Director of the Majestic Universe, and the creator and writer of Knights Legacy. John Michael Helmer (JMH): Where were you born and raised? MICHAEL: I’m passionate, determined, focused, stubborn, methodical, loyal, and self-deprecating. When talking about myself I strive to be succinct and not say too much when saying too little very well can paint a clear picture, as I’ve strived to do here. MICHAEL: All I know I learned from doing, reading, speaking with other writers and editors, and seeing what other writers and editors do, either to learn from what they do I agree with or avoid doing the things they do I disagree with. MICHAEL: I have an eclectic taste but as of now, I’m more interested in execution than on individual writers. I like character-based and driven stories with clear beginnings and middle points, but nebulous endings that allow the stories to be open-ended for a long time. MICHAEL: My first published story, Witchfinder: Curse of The Poppet, appeared in FTL (Faster Than Light) #4, an anthology series published by Orang Utan Comics. Greg Novak and I initially developed the story as an entry for a talent search from a different studio, in which it finished in one of the final five places. MICHAEL: From DC, a Pre-Crisis on Infinite Earths comic where Superboy and Superman switch minds after they collide while travelling through time, a Superboy story in which aliens turn him into a robot (I've yet to meet anyone who remembers that story, but I know it exists), and some issues of Who’s Who. From Marvel, “The Kid Who Collected Spider-Man”, an issue of Spider-Man in which Peter reveals his identity to Debra Whitman, one in which he fights the Tarantula and the Will O’ The Wisps, and Secret Wars II. MICHAEL: I currently only read VALIANT and Top Cow. From VALIANT, I read everything they publish, while from Top Cow I get Witchblade, Artifacts, and The Darkness. JMH: Print Versus Digital. Your thoughts? MICHAEL: Digital comics are still in their infancy. The majority are digital versions of comic books formatted for the print medium as opposed for the digital platforms. The debate right now is centered on the delivery of the product as opposed as to how the format affects the way the story is told differently between the two. I prefer print comics not only because they’re something I can hold in my hands, but also because the story was designed to fit that format. The artist draws the panels based on the dimensions of the page, not based on the dimensions of a computer monitor or tablet. I’d be interested in seeing comics formatted and produced with the advantages of digital media in mind, as opposed to comics that have been digitized for digital distribution. MICHAEL: I usually begin by writing an outline that serves as a roadmap I follow from the beginning of the story to the middle to the end. I prefer that over writing “from the hip” because this way I have a clear idea of where I want to go instead of making it up on the fly. I’ve worked using both methods and the former has been far more helpful than the latter. It doesn’t mean I don’t get blocked. When I do, I’ve found that the answer is in the work I’ve already done. That means using the characters, concepts, and ideas I already have to let them help me remove the block. MICHAEL: Most definitely. I spend lots of time using the Internet researching ideas. I even attended Hebrew classes to research the folklore as it pertains to a story I developed. I once had to walk through a desert section of Las Vegas near the airport to get to a bookstore to find a book I needed to research a specific topic (unfortunately, it was the wrong store, heh. The right one had a bus stop right outside the entrance). MICHAEL: I start with a concept and develop the characters from there to make the story about them. I use two literary sources to help develop the story. One is “The Hero With A Thousand Faces” by Joseph Campbell. The other is “The Anatomy of Story” by John Truby. The first helps me give the story an epic scope, while the second helps me keep it personal. I use both books to develop the outline that details the story as specifically as possible to track the character’s journey from beginning to end. Once the outline is done, I turn it into a script that I revise MULTIPLE times until I’m satisfied with the finished version. JMH: Do you feel more comfortable with writing prose or comic book sequential scripts? MICHAEL: The latter. I’m not a fan of prose. I lack the knack for it. JMH: What is Knights Legacy? MICHAEL: Knights Legacy is the story of the modern-day heirs to the legacy of the Pendragon: Laurence Grey and Ethan McBride. Theirs is an all-encompassing saga that gives previously accepted facts about Arthurian lore a new interpretation, which allows it to stand on its own merits alongside other tales inspired by the source material. Knights Legacy is intended to run for 80 issues published across a six year timeframe. JMH: Can you describe the world/universe Knights Legacy takes place in? MICHAEL: Knights Legacy is the flagship title of the Majestic Universe, a shared science fiction and fantasy world that tells a vastly-ambitious, yet consistent saga told across seven inter-connected series that tell a unique story with a beginning, middle, and end. These series paint a picture that makes The Majestic Universe unlike any other shared universe. The Majestic Universe is a verisimilar world with a rich history that forms a complex tapestry. Its inhabitants are ordinary men and women who find themselves in unusual situations that help them find the heroes inside them. Our universe is a place of heroic knights and oppressive sorcerers, captivating tyranny and illuminating freedom, frail mortality and painful afterlives, rampant science and fatal phenomena, blood-thirsty revenge and heart-wrenching redemption, vengeful Gods and forgiving mortals, and peace-seeking warriors and warmongering fanatics. The Majestic Universe has been a passion project ever since I conceived it in 98. Ever since then, I’ve worked tirelessly in developing the characters, arcs, and story until I felt ready to pursue its publication. JMH: What can you tell us about the protagonists of Knights Legacy? MICHAEL: Laurence is a soulless man whose lack of self drives him to oppress the people of the European Union and makes him indifferent to other people’s suffering. Ethan is a selfish man whose determination to learn where he comes from blinds him to the needs of others and compels him to only take action expecting a reward for his efforts. Propelled on parallel journeys that take them from the world of magic across the world of man and from the world of man across the world of magic respectively, Laurence finds the key to unlocking his buried past, while Ethan finds the devastating truth to the question that has plagued him his entire life. JMH: Was Knights Legacy inspired by anything from your past or real life experiences? No, but a bad MICHAEL: experience some years ago influenced the development of both Ethan and Laurence’s story in the inaugural graphic novel, Awakening of The Pen Ddraig. JMH: Talk about the creative team involved with Knights Legacy. MICHAEL: As a writer, I’ve done several creator-owned stories released by publishers such as Red Leaf Comics and Orang Utan Comics. As a creator, I’ve provided creative services to VALIANT Entertainment on concepts such as Archer & Armstrong, Shadowman, Eternal Warrior, Harbinger, X-O Manowar, and Ninjak. J. Andrey Portilla, the interior penciller, is an illustrator at the National School of Caricature, a graphic designer at the University of The Valley, and one of 12 Columbian authors displayed at the Museum of Contemporary Art for the 1st National Faber Castell in 2011 drawing contest and the Fumetto International Comix 2012 in Lucerne, Switzerland. In 2013, he published the comic book magazine Delirium for the international book fair in Bogotá, Columbia. Kevin Leverett, the inker, is an inker/illustrator hailing from Dallas, TX. He has been working in the comic field for about three years. His work can be found in such books as Death Fox from What The Flux Comics and Son Chasers from Pilot Press. He also contributed to various other anthologies. He is a member of the Cornerstone Creative Studios, and is easily reachable at kevin@cornerstonecreativestudios.com. Katie Zheng, the interior colorist, is a colorist and graphic designer from New York City. Her goal is to provide an enjoyable and professional experience for every client she works with and will never pass up a chance to improve her skills. Her work as a graphic designer has appeared in D20 Girls Magazine from OGO Publications, while her work as a colorist has appeared in Geos and Death Fox from What The Flux Comics. E.T. Dollman, the letterer, is an alien letterer and writer. He’s lettered comics published by Image Comics, Markosia, AC Comics, and wrote stories for Heavy Metal Magazine, Zuda, and Femforce. He can be contacted at e.t.dollman@gmail.com and www.facebook.com/ETDollman.He likes humans. Roberto Torres, the lithograph colorist, is a 37 year old freelance illustrator/artsy fartsy type. He’s worked for several indie comic publishers in Florida, including CAE (Zombie Squad and misc inking and coloring jobs including the cover for Project: Overwatch) and Creature Entertainment (Bubba The Redneck Werewolf, artist and inker). JMH: Will Knights Legacy be released in digital format, web comic, or print? MICHAEL: I’m currently working on arranging a Kickstarter fundraiser to raise the funds to produce the first-ever graphic novel, Knights Legacy: Awakening of the Pen Ddraig. In order to improve the chances of financing it, I’ll be offering it as three 48-page issues (meaning three different fundraiser campaigns to raise the funds to produce each installment). The rewards include digital and print copies, which will make the initial print run small. JMH: Does Knights Legacy carry a message to the readers? MICHAEL: Yes. The message is encapsulated in the tagline that accompanies the series, which is that virtue overcomes avarice and might applied to a just cause makes right. JMH: What is Heroic Tendencies Studios? 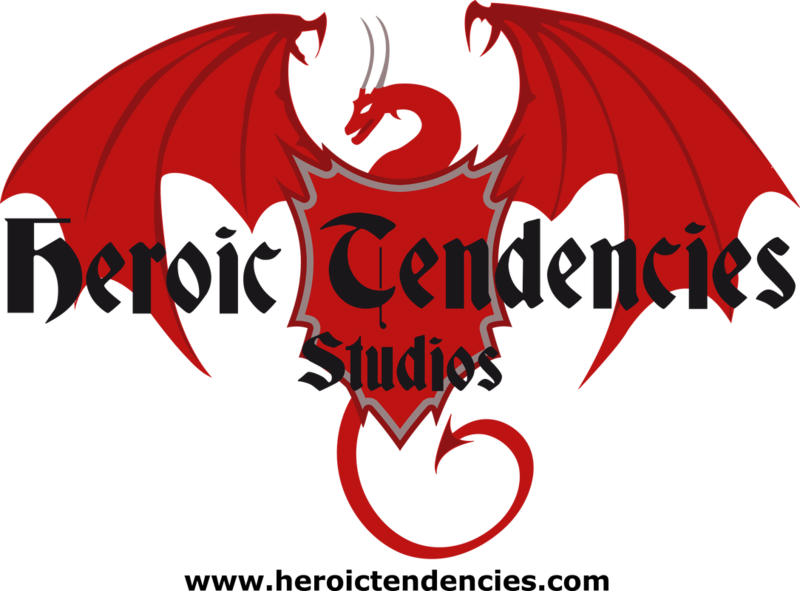 MICHAEL: Heroic Tendencies Studios is a collaborative effort between a group of writers and reviewers that have come together to usher in the Majestic Age (TM) of storytelling. JMH: How was the studio founded? MICHAEL: Manuel Suarez, Sebastian Gomez Gallardo, and I founded HTS in 1998. The three of us developed the core concepts of The Majestic Universe, a science fiction and fantasy universe inhabited by ordinary people caught in extraordinary situations that force them to find the heroes inside them. In the years since its inception, many people have come and gone, including Manuel and Sebastian. The current members are Aaron Thall, Ryan McLelland, Adam Ferenz, Robert MacDonald, Glenn B. Fleming, Trey Wickwire, and myself. JMH: How long have you been associated with the studio? MICHAEL: Since its foundation in October of 1998. JMH: What are your duties at Heroic Tendencies Studios? MICHAEL: As President of HTS and Creative Director of the Majestic Universe, I seek out outlets through which to publish our properties as comic books and graphic novels. Additionally, I write two series and co-write the rest with their respective creators. JMH: Can you describe some of the projects that have come out of the studio? MICHAEL: Knights Legacy: Awakening of the Pen Ddraig will be our first-ever graphic novel. JMH: Talk about some of the creators working for Heroic Tendencies Studios. MICHAEL: In addition to Knights Legacy, I currently also write Zeroth, the story of two immortal brothers fighting for control of the mortal realm and the spirit world. Aaron Thall has written reviews for superhero-based novels at sites like Fandom.com, X-Fan, and the Superman Homepage, where he served as co-editor of their caption contest. His work includes a contribution to Peter David’s Twilight parody, “Potato Moon”, and a runner-up entry in the 2002 ECC Student Literary Competition. He currently writes and co-plots "Death Fox” for What The Flux Comics. Aaron is the co-creator and co-writer of Enhanced High, the story of a group of rival high school students who find a common bond over their increasing superhuman abilities. Robert MacDonald is a rookie member of HTS. After a couple years of dabbling in online reviews on and off, he decided to follow his true passion, writing. With no credits behind him, he is a proficient and effective writer who plans to make the most of his opportunity with Heroic Tendencies Studios. Robert is the co-creator and co-writer of The Warrior’s Path, the story of a spoiled rich girl seeking to avenge her father’s murder. Ryan McLelland hit the entertainment world in 2002, writing for sites as Newsarama and Latino Review. Quickly finding a voice apart from thousands online, he found work at places like Starlight Runner Entertainment, CSN, Syfy.Com, Digital Webbing, IESB, Platinum Studios, and VALIANT Entertainment. He has written comics published by Arcana Studios, like Philly and “Grunts: War Stories”, and select indie presses. He currently resides at Ain’t It Cool News, where over 25 million readers see his reviews each month. He is the co-creator and co-writer of The Specialists, the tale of a group of mercenaries hired to annihilate creatures born of scientific folly and supernatural origin. Adam Ferenz is a graduate from the University of Michigan-Flint. Adam has a degree in history and political sciences, with pending masters in American Culture, English, and Social Science. Heroic Tendencies Studios is his first studio. Adam is the co-creator and co-writer of Majestic Realms, the tale of a demanding man and a rebellious woman on a journey across a timeless afterlife. Adam is also a dialogue assistant and creative consultant on Knights Legacy and Majestic Genesis, the story of Ptholomeus Zakiya, a good man of faith obsessed with saving the Earth from an alien invasion. Glenn B. Fleming is an all-round creator with over 30 years of experience in advertising, writing, photography, and illustration. He has authored four books (10 Tens, Arrival, The Two Faces of Lee Harvey Oswald, and The Dark Side of the Moon); his latest creation, The Little Green Tree Books 1 and 2, are currently in post production. Following a four-year stint as publisher of “Crikey! The Great British Comics Magazine” (which also featured his cartoon character Hatch), he has returned to his first love, creating comics. He is currently writing and illustrating his own SF graphic novel, The Amazing Mister Kuiper, and the strips The Black Diamond and Wondermen for the soon-to-be launched Rebellion Universe. Glenn provides character designs and full-color art for Majestic Genesis. Trey Wickwire is a screenwriter and comic book writer. His specialties include science fiction and fantasy writing and editing in prose, screenplay, or comic book scripts format. His credits include several short stories published by Orang Utan Studios, a short story in the Eleventh Hour anthology by Markosia Comics, Project Z: The History of the Zombie Apocalypse, a web series from Savage Light Studios, and The Reverend, a prose short stories published on the web by Writer's Ink. Trey is the co-writer and co-creator of Aurora, the story of an alien who comes to Earth to prepare humanity to defend itself against her warmongering people. MICHAEL: None right now. All my time is dedicated to polishing the script for the Knights Legacy graphic novel, preparing the Kickstarter, and getting the word out. JMH: How can fans get a hold of Knights Legacy and stay in touch with you? 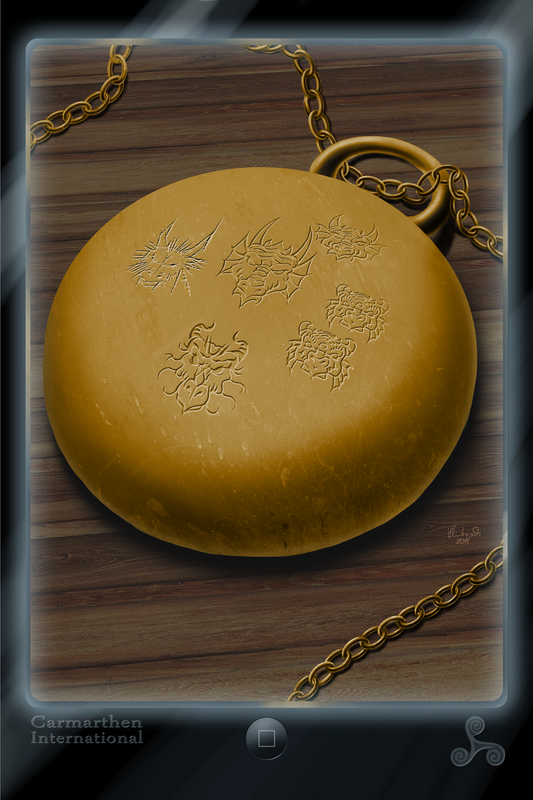 MICHAEL: The Kickstarter for Awakening of the Pen Ddraig will launch sometime in April. Fans can like the Knights Legacy Facebook page www.facebook.com/KnightsLegacy, and follow me on Twitter at @MichaelSacal and @HeroicTStudios. On Facebook, they can find Heroic Tendencies Studios at www.facebook.com/HeroicTendenciesStudios. JMH: Writer, CBI appreciates your time! All the best!